"We need deliberately to call to mind the joys of our journey. 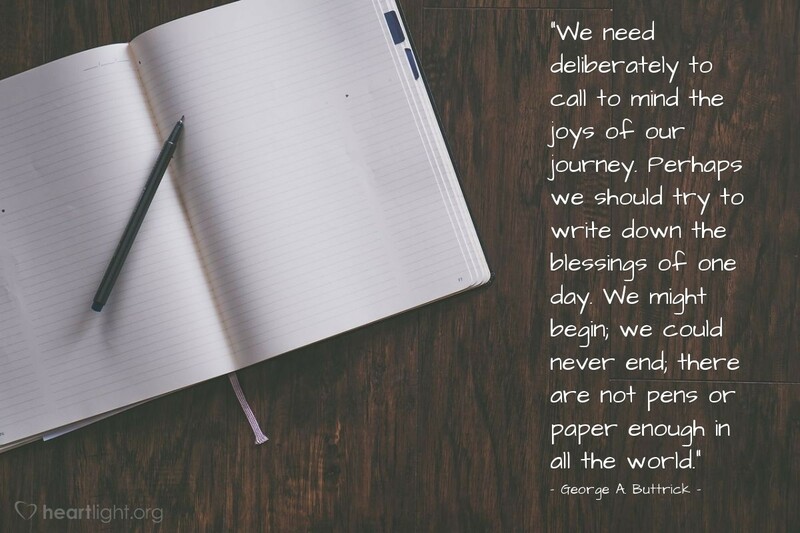 Perhaps we should try to write down the blessings of one day. We might begin; we could never end; there are not pens or paper enough in all the world."